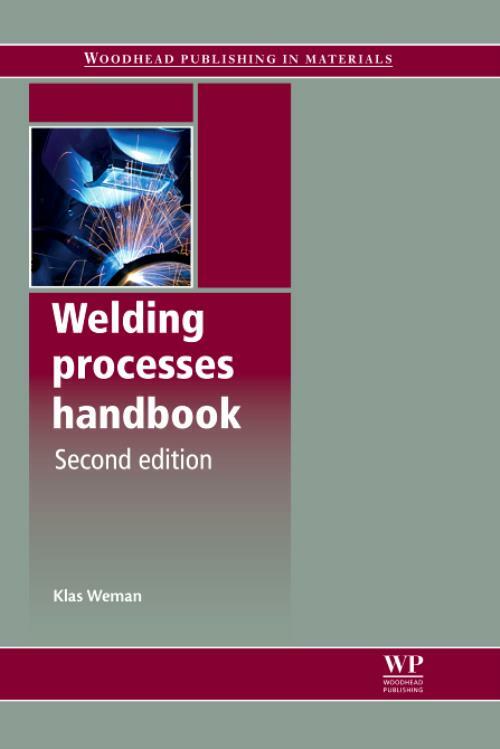 The first edition of Welding processes handbook established itself as a standard introduction and guide to the main welding technologies and their applications. This new edition has been substantially revised and extended to reflect the latest developments. After an initial introduction, the book first reviews gas welding before discussing the fundamentals of arc welding, including arc physics and power sources. It then discusses the range of arc welding techniques including TIG, plasma, MIG/MAG, MMA and submerged arc welding. Further chapters cover a range of other important welding technologies such as resistance and laser welding, as well as the use of welding techniques for cutting, surface cladding and hardfacing, soldering and brazing. A final group of chapters discuss more general issues such as mechanisation, safety, residual stress and distortion, welding design, costs and quality assurance, as well as the welding of steel and aluminium. The new edition of Welding processes handbook confirms its reputation as a concise, authoritative and practical introduction to welding and its applications for both students and engineers. It is designed to meet the requirements of Module 1: Welding processes and equipment of the International Institute of Welding (IIW) guidelines for the training of welding personnel at IWE, IWT, IWS and IWP level. Weman, KProfessor Klas Weman currently works for WEMAB AB in Sweden. He has previously worked for ESAB Welding Equipment AB and in the Welding Technology Department of the Royal Institute of Technology in Stockholm, Sweden.